BCJ Wealth Management – Life is a journey. Let's plan for it. Will you only dream of it? Or will you LIVE it? Do more than dream of financial freedom. Live with financial confidence. We dream for years about how to spend our retirement, build and successfully exit a business or efficiently pass our legacy on to our heirs. While we gather the images of a perfectly streamlined financial future, our reality may be very different. This is why we work with our clients to make sure they are knowledgeable about all aspects of retirement and financial planning. Does your portfolio truly align with your goals? Have you ever wondered if your risk tolerance actually matches your investment portfolio? 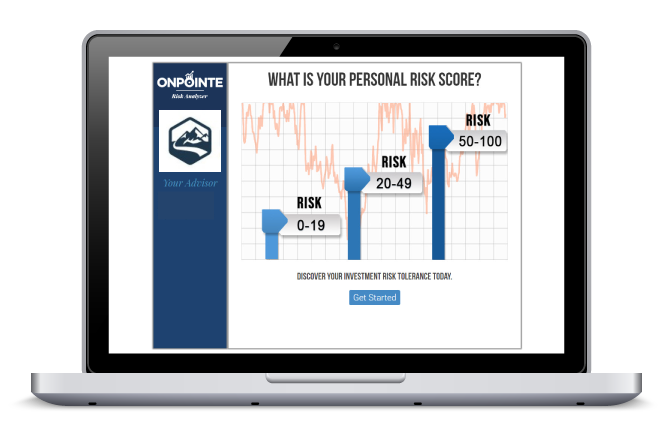 With our risk analysis tool, you can do just that – pinpoint your risk and assess if your portfolio truly fits. We believe that investors should have knowledge in hand. This no-cost* risk evaluation will help you to better analyze your feelings about risk and market fluctuations, and to see if it may be time to re-align yourself with your financial goals. *We do not charge you for this evaluation and there is no obligation for you to work with us or for you to sign up for any other systems we provide because you have completed this assessment. Investment advisory services are offered through BCJ Capital Management, LLC., an SEC Registered Investment Adviser. Information presented is for educational purposes only. It should not be considered specific investment advice, does not take into consideration your specific situation, and does not intend to make an offer or solicitation for the sale or purchase of any securities or investment strategies. Investments involve risk and are not guaranteed. Be sure to consult with a qualified financial adviser and/or tax professional before implementing any strategy discussed herein. *We do not charge you for this evaluation and there is no obligation for you to work with an advisor if you proceed. However, please be aware that there are fees associated with when working with a financial professional. Please contact us for more information on the costs associated with personalized financial planning and investment management.